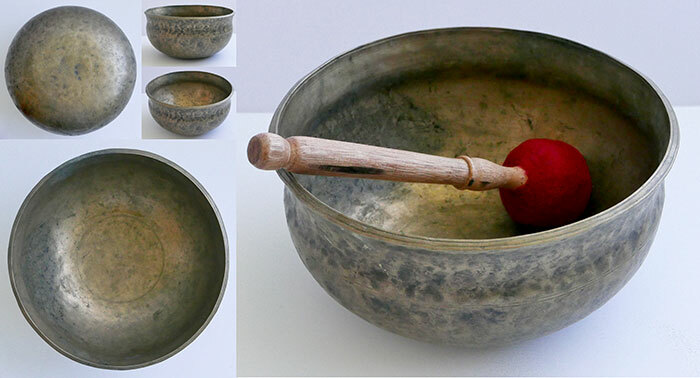 Ultabati Singing Bowls are impressively large, capacious and caldron-like. Their external walls frequently have two contrasting surface finishes…one for the first 3 or 4 cm band below the rim (the collar), and another for everything beneath it. Its downward-sloping lip and gently scooped collar will typically be smooth to the touch and a natural bronze colour, while the rest of the bowl will normally be finely textured with hammer markings. Sometimes this lower surface will be blackened or mottled to contrast with the collar, and sometimes it is left a natural bronze. A single incised line normally marks the boundary between the two contrasting areas. 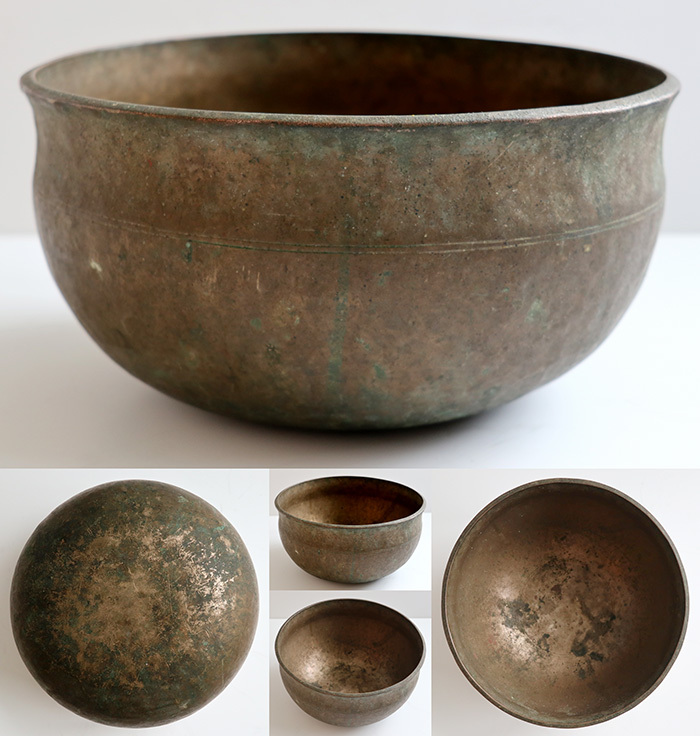 The inside of the bowl is often finely polished to a beautiful golden bronze, and there may be several incised decorative concentric circles radiating from its centre. Occasionally a large bowl will be found with an incised (not punched) inscription below the collar. 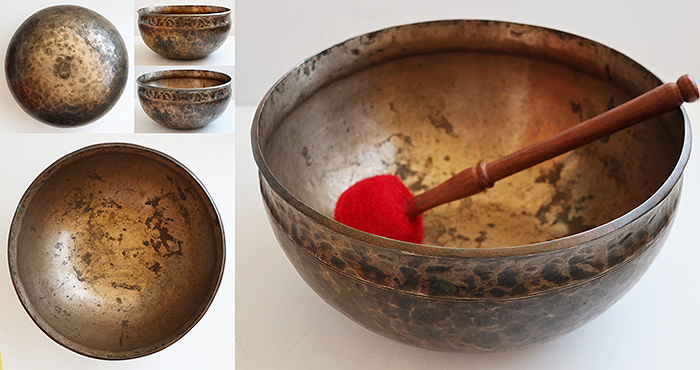 Click here for more information about antique Ultabati Singing Bowls.